Until his death in 2011, Professor of Music John Milton Ward remained one of the Harvard Theatre Collection’s most generous donors, his gifts documenting the performing arts from the 16th through the 20th centuries. 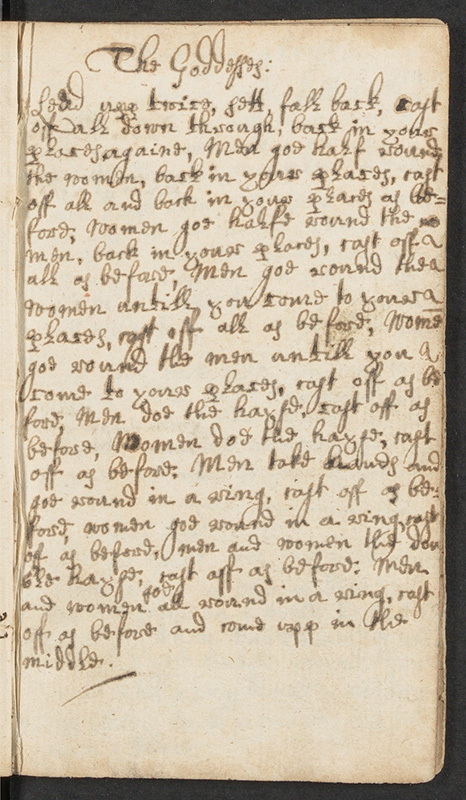 An intense interest in the history of social dance led him to find many significant manuscript sources for English dances, but this particular manuscript was his favorite, as it provides a variant to the Playford version in The English Dancing Master. I worked closely with Professor Ward from my arrival at Harvard, and enjoyed many after-work discussions about items I’d cataloged during the day: their musicological context, significance for research, and his own connection to them as objects. His passion, and meticulous attention to detail, taught me to be a better librarian, and inform my work now and forever.